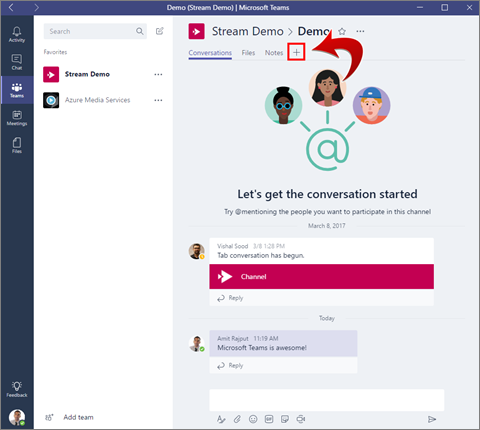 Make it easy for your team to collaborate using video by adding a Microsoft Stream channel or video as a tab in Microsoft Teams. 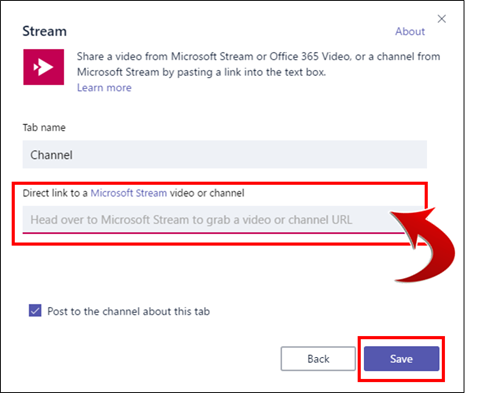 The permissions on the video or channel in Stream are respected in Microsoft Teams. In Stream, select the channel or video URL directly from the address bar or your browser on the channel or video page. Or, click the Share icon on the desired video, click Share, and copy the URL. Select the plus icon on the tab bar of your Team channel. Select the Microsoft Stream tab. Paste the URL into the direct link section and then click Save. 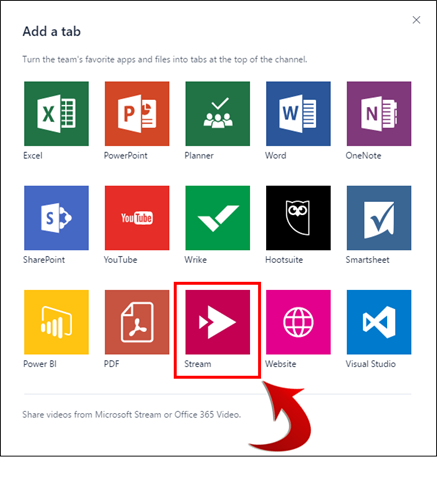 If you added a channel, click any video in the channel to watch it in the Microsoft Stream tab.